Stops are automatically set to optimally balance, letting profits run with cutting losses. Auto optimize for range, volatility, and risk, which eliminates the need to always be changing settings. 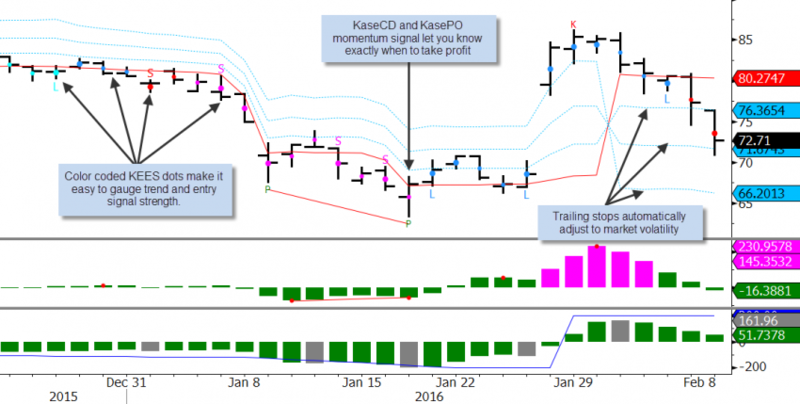 Generate color-coded entry signals by evaluating momentum, bar patterns and more. Analyze multiple timeframes, filtering signals for accuracy and speeding up signal generation. Are based on rigorous statistical and mathematical principles, and are thus probability driven.